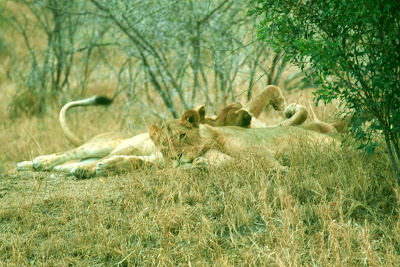 Kruger National Park: Visitor numbers on the rise! 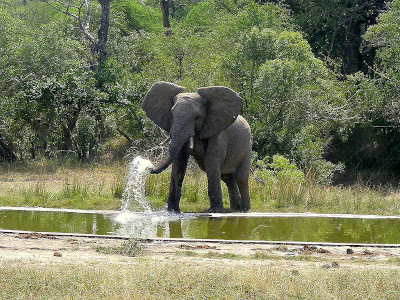 South Africa's Department of Environmental Affairs has published the visitor statistics for Kruger National Park in the 2014/15 financial year. 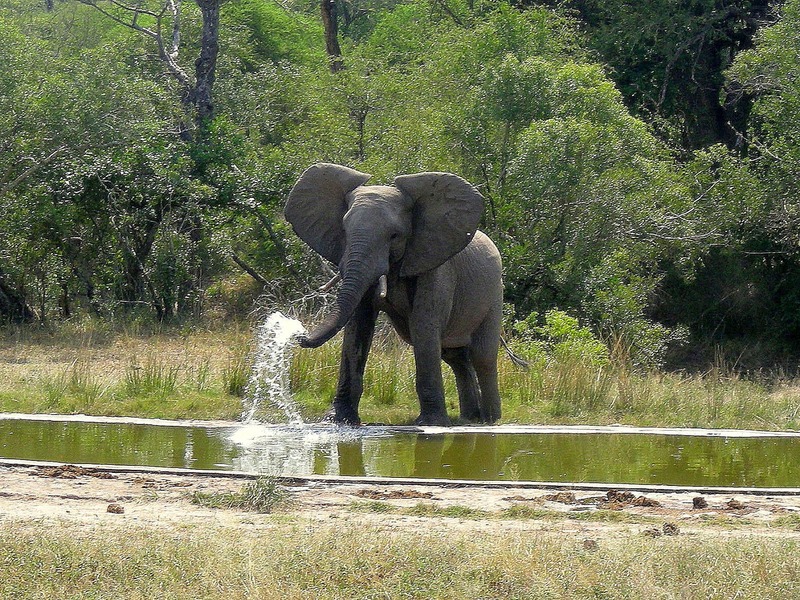 According to the statistics, the total number of 1,659,793 guests passed through the gates of Kruger National Park in the past year, compared to 1,556,916 the previous financial year. Of this number 1,277,397 were day visitors and 382,396 were overnight guests. Day visitor volumes picked up noticeably in December 2014, with 148,138 day visitors entering the park. Between the 2012/2013 and 2014/15 financial years, the number of day visitors entering the Kruger National Park grew by an additional 239 817. Guests, who spent a night or more inside Kruger National Park (overnight guests), generated a total of R321,482 million in accommodation fees for South African National Parks (SANParks). 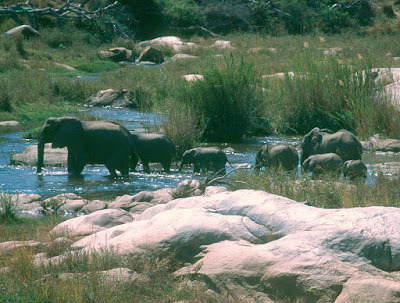 The majority of SADC visitors entered from the Punda Maria Gate (10,378), while the majority of "other international" visitors entered Kruger National Park from Phabeni Gate (76,920). Of the 25 camping facilities operated by SANParks inside Kruger National Park, the majority overnighted at the popular Skukuza Rest Camp. Visitor numbers for the 2015/2016 financial year look similarly promising. The sub-total of day visitor numbers through April 2015 are 108,284 and 35,093 overnight guests. Cape Town: Table Mountain Cableway to close for annual maintenance! update (21 July 2015): This year's maintenance work includes a haul rope change, slack rope tests, cleaning the ropes, servicing the main gearbox, generators and back-up generators, renewing switches and bearings where necessary, a facelift of the cable car cabins, general electronic component changes and control checks. Cape Town's Table Mountain Cableway will be closing for scheduled annual maintenance required to meet the highest global cableway standards set by the Bundesamt für Verkehr (BAV), the swiss governing body for cableways. The Table Mountain Cableway will be closed from 27 July 2015 to 09 August 2015 (if weather permits). fastjet is set to launch domestic flights in Zimbabwe! According to the online edition of Zimbabwean newspaper "The Herald", fastjet (Zimbabwe) is set to introduce domestic flights between Harare and Bulawayo and between Harare and Victoria Falls. Zimbabwe's Ministry of Transport and Infrastructural Development already granted the airline an Air Service Permit (ASP) in March 2015, but fastjet (Zimbabwe) still has to submit certain documents to the Civil Aviation Authority of Zimbabwe (CAAZ) to complete the application process for an Air Operator's Certificate (AOC). The AOC will give the airline the formal approval to commence flights in Zimbabwe. fastjet (Zimbabwe) also plans to launch international routes ex Harare to Johannesburg and Cape Town (South Africa), as well as to Nairobi (Kenya) and Lusaka (Zambia). South Africa to introduce new drone regulations! The South African Civil Aviation Authority (SACAA) recently announced that new regulations are to be introduced on 01 July 2015 for the use of drones (Remotely Piloted Aircraft Systems/RPAS) in South Africa. Most of the rules apply to operators flying drones for commercial purposes, but private drone owners are also affected by some of the regulations. The new regulations do not apply to toy aircraft, which the SACAA define as aircraft "designed or intended for use in play by children". Click on the links below to view the Technical Standards and Regulations, as well as a speech by the Director of the South African Civil Aviation Authority regarding RPAS. Skywise to increase flights between Johannesburg <> Cape Town! South African domestic low cost airline Skywise will increase daily flights on its only route between Johannesburg and Cape Town from 11 June 2015. The airline's fleet now stands at two planes, allowing the number of daily flights between the two destinations to increase from four to eight flights per day. Skywise's flights between Johannesburg and Cape Town will be starting from 06:00 and ending at 20.15 in the evening. Ethiopia's flag carrier, Ethiopian Airlines, is set to launch flights between Bole International Airport (ADD) in Addis Ababa, Ethiopia, and Cape Town in South Africa and between Addis Ababa and Gaborone in Botswana on 30 June 2015. The flights to Cape Town and Gaborone will be operated three times per week. Ethiopian Airlines is a global Pan-African carrier currently serving 85 international destinations across 5 continents with over 200 daily flights using the latest technology aircraft such as the B777s and B787s Dreamliner. Cape Town and Gaborone will be the airline's 50th & 51st African destination respectively. 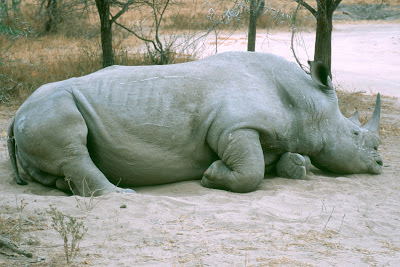 Rhino shooting in Namibia: Texas hunter Corey Knowlton is not welcome in Botswana! South Africa: Another domestic airline set to launch! Another domestic airline is set to launch in South Africa. Fly Go Air started selling tickets on 21 May 2015 and will launch flights between Cape Town International Airport (CPT) in Cape Town and OR Tambo International Airport (JNB) in Johannesburg on 29 June 2015. The airline, which is operated by CemAir, positions itself as a premium carrier and not as a budget or low-cost carrier. According to Fly Go Air, meals, drinks and checked luggage (limited 20kg; hand luggage max. 7kg) are all included in the airfare. The airline also offers a cocktail menu to its passengers. We'll keep you posted! South Africa: Green Flag status for two hiking trails in the Knysna Forest! Two hiking trails in Knysna's Knysna Forest, which forms part of the Garden Route National Park, recently received Green Flag status. The Perdekop Nature Walk (9.5km) and the Olifants hiking trail (8km) in Diepwalle were accredited by the Hiking Organisation of Southern Africa (HOSA) on 14 May 2015. Green Flag Trails, which has been developed and researched by Professor Leon Hugo from the University of Tshwane over a period of 15 years, is a system that recognizes trails that meet minimum standards in terms of trail design, accommodation, facilities and service, as well as the conservation of natural resources and safety. Green Flag Trails work towards sustainable development, where the trails accredited meet strict criteria. The system is managed by an advisory body and is overseen by the Hiking Organisation of Southern Africa (HOSA). Zambia to lift ban on hunting leopards and lions! Zambia is set to lift a 2013 ban on the hunting of wild lions and leopards in order to raise funds after it established that the population of the big cats in the country was higher than previously thought. According to Zambia's Minister of Tourism and Arts, Jean Kapata, leopard hunting resumes in the 2015/16 season (which begins in July 2015), while the lion huning will only resume in the 2016-17 hunting season. Zambia in 2013 banned the hunting of lions and leopards, saying that the country is seeing more value in game viewing tourism than in trophy hunting and that big cat numbers in the country are too low to have a sustainable hunting industry. According to a recent aerial survey done by the Ministry of Tourism and Arts, Zambia is currently home to an established number of 4,000 lions and to more than 8,000 leopards. Cape Town: Lion's Head hiking trail closed until further notice! update (26 May 2015): Lions Head has been re-opened again and is fully accessible to the public! South African National Parks (SANParks) yesterday announced via facebook that the famous Lion's Head hiking trail in Cape Town's Table Mountain National Park has been closed until further notice due to rockfall. Swaziland plans to launch low cost airline to Durban (South Africa)! According to a report in the Swazi Observer (19 May 2015), the Swaziland Civil Aviation Authority (SWACAA) is set to launch a low cost airline. The new airline will be operating between the new King Mswati III International Airport (SHO) in Swaziland and King Shaka International Airport (DUR) in Durban, South Africa. SWACAA's Director of Marketing and Corporate Affairs Sabelo Dlamini told the newspaper that the talks are "at final stages adding that the parties would announce the name and dates of the starting of the operations once all the paper work and other logistics had been finalised." King Mswati III International Airport, originally named Sikhuphe International Airport, is located about 70km east of Mbabane and about 45 km from Manzini. The airport was officially inaugurated on 07 March 2014 without having a license to operate from the International Air Transport Association (IATA). Kenya Tourism Board releases new promotional video! The Kenya Tourism Board has released a new promotion video showcasing a selection of Kenya's immense possibilities of adventure. How do you like it? Tanzania: Precision Air reopened domestic flights Dar es Salaam <> Tabora! Tanzanian airline Precision Air has reopened domestic flights between Julius Nyerere International Airport (DAR) in Dar es Salaam and the newly renovated Tabora Airport (TBO) in Tabora on 15 May 2015. The airline operates three weekly flights on Mondays, Wednesdays and Fridays between the two destinations. On its way back from Tabora to Dar es Salaam, Precision Air makes a short stopover at Kigoma Airport (TKQ) in Kigoma. Precision Air suspended flights to Tabora, located in west-central Tanzania, in 2009 due to unfavourable airport conditions. Infographic: "The Plane Facts Of South African Air Travel"! Our friends at Travelstart South Africa have created a super-handy infographic about the nine scheduled internal airlines - Skywise, FlySafair, Mango, kulula.com, South African Airways, British Airways/Comair, Airlink, SA Express, CemAir - currently dominating South Africa's airspace. Kudos Travelstart! Fair Trade Tourism (FTT) certifies four new tourism businesses in Mozambique! Fair Trade Tourism (FTT), a South African non-profit organisation that encourages and monitors fair and responsible practises in tourism establishments and activities, recently added four businesses in Mozambique to its portfolio of 64 FTT-certified tourism products in Southern Africa. These tourism businesses all adhere to the FTT standard and use the FTT label as a way of signifying their commitment to fair and responsible tourism. This includes fair wages and working conditions, fair purchasing and operations, equitable distribution of benefits and respect for human rights, culture and the environment. When Patrick Wallner was named "best filmmaker 2014" by the European skateboard community, he got the offer from Redbull to travel anywhere he wanted in the world and make a movie there. He chose Madagascar. A couple of weeks later, Patrick and some of his skateboarding friends, including Barney Page, Denny Pham, Nestor Judkins, Wilko Grüning, Brian Dolle and Gosha Konyshev, travelled to Madagascar and Patrick shot "Melodies for the Lemurs". Kudos! Enjoy! Red Bull - Melodies for the Lemurs (Full Length) from Patrik Wallner on Vimeo. Cape Town: Robben Island to switch to solar power! 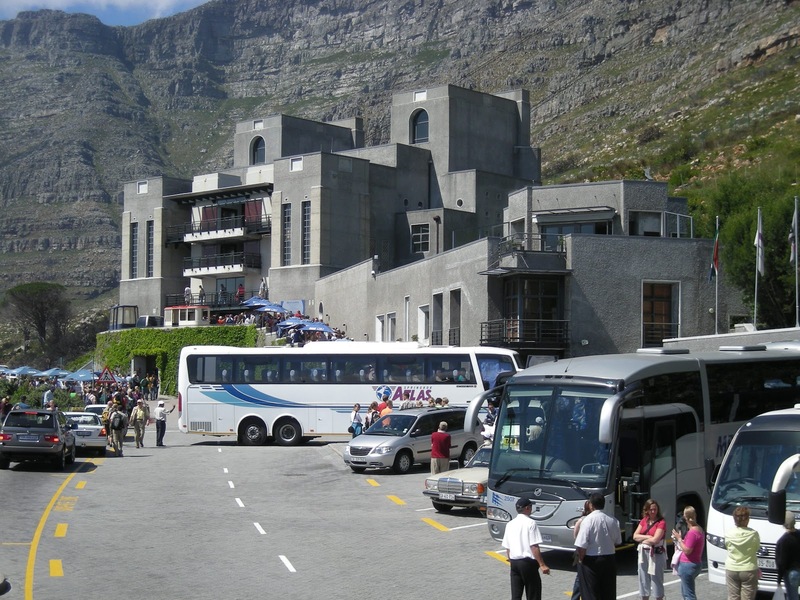 update (16 Oct 2015): The Robben Island retrofit project, part of the Department of Tourism’s Incentive Programme (TIP), will be completed by April 2016. According to South Africa's Minister of Tourism, Derek Hanekom, Robben Island will soon generate its power from solar panels. 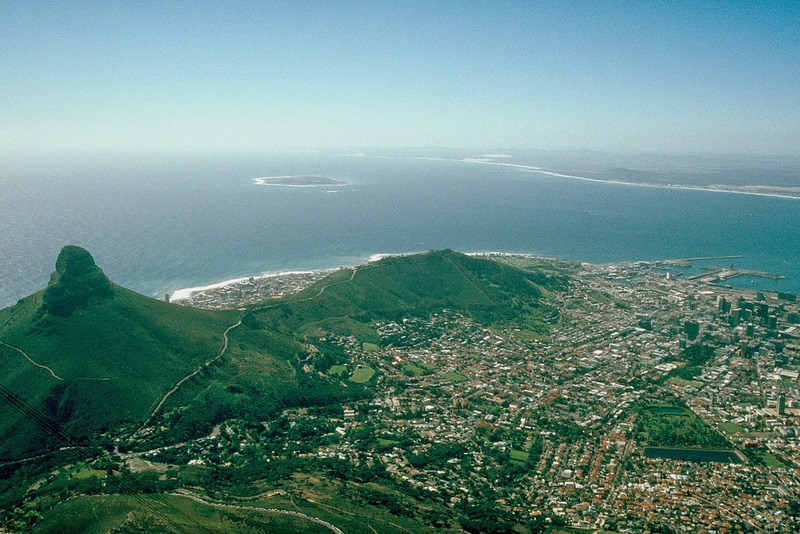 The island, located in Cape Town's Table Bay, will be a pilot site for the department's plan to roll out solar power to South Africa's botanical gardens, National Parks and World Heritage sites. The installation of solar power on Robben Island will take place during the current financial year. Emirates bans transport of hunting trophies! One of the world's biggest international airlines, Emirates, has banned the transportation of hunting trophies on all its services effective 15 May 2015. The ban affects the transportation of trophies of elephant, rhinoceros, lion and tiger. According to Emirates SkyCargo, "this decision is to support international governments, inter-governmental and non-governmental organizations that are managing wildlife population towards sustaining the task to eliminate illegal trade and transportation of hunting trophies worldwide and saving wildlife heritage". Emirates SkyCargo handles the cargo needs of all Emirates services, including its passenger services.